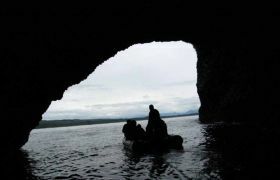 See Southeast Alaska! One-fifth the size of the continental United States, Alaska has the highest coastal mountain range in the world. 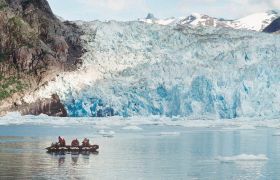 Over one-half of the world’s glaciers cover these mountains and Alaska is one of only three places in the world where tidewater glaciers exist. 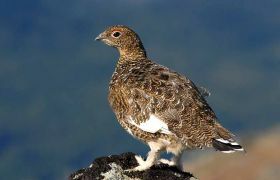 Wildlife abounds with whales, bears, moose, and eagles. 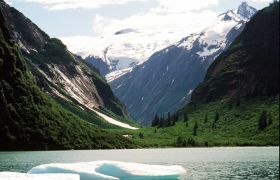 Heavily forested, with over three million lakes, Alaska is a vast, beautiful and truly wild place. 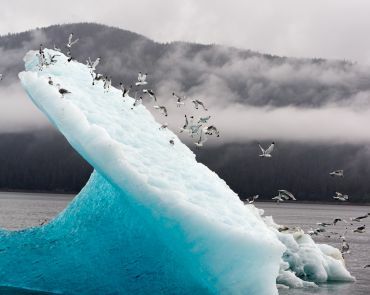 Southeast Alaska (the “Panhandle”) is the jewel in Alaska’s coastal crown. 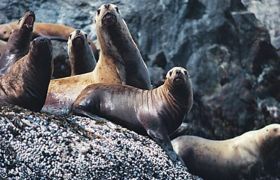 Sail Southeast Alaska and enjoy Its warm climate and abundant wildlife. 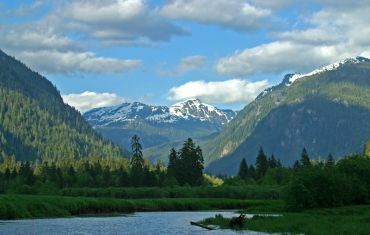 Most of Southeast Alaska is part of the Tongass National Forest – the largest National Forest in America – and managed by the US Forest Service. A National Forest, by definition, is managed for mixed-use – recreation, forestry, wildlife and ecological values. Historically, Forest Service management of the “Tongass” has been surrounded by controversy. Large scale forestry and clear-cut logging (visible from miles away) conflict with the wilderness values that bring visitors from around the world. 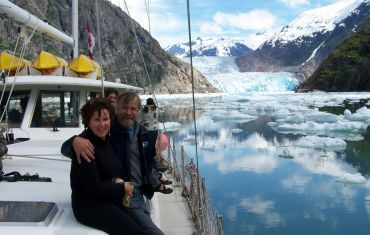 Bluewater Adventures, Ltd. is an equal opportunity provider and is a permit holder for the Tongass National Forest. 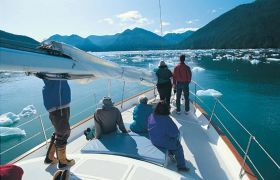 Experience the grandeur of ancient tidewater glaciers, skyscraping/ snowcapped mountains and a biodiversity that will take your breath away in Southeast Alaska. 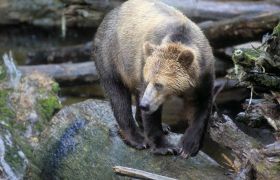 By midsummer, grizzly and black bears congregate along the rivers and creeks for the easy salmon fishing and bountiful wild berries. The US Forest Service have set up several bear observatories for research and viewing, as wild bears require space and our respect. An abundance of whales visit this region every year to feed on the coastal rich waters. 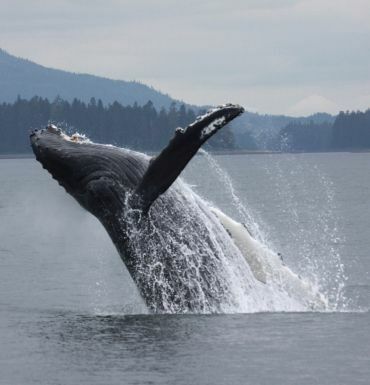 Watch humpback and killer whales in their natural environment from the comfort of our ships. A glacier is a vast accumulation of snow and ice slowly flowing downhill from a mountain ice field. Continuously moving, it scrapes the earth, picking up rocks and sediment and slowly forms deep, U-shaped valleys. 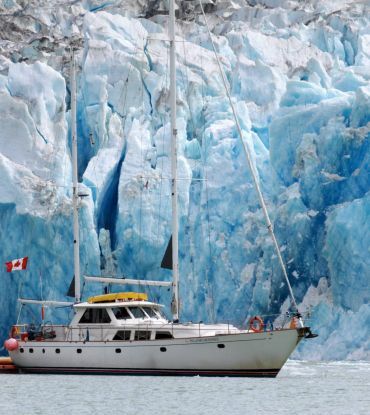 Glaciers that advance far enough eventually reach the sea, and are called tidewater glaciers. They break off, or calve, directly into salt water. All glaciers are in a constant state of change caused by increases or decreases in precipitation and temperature. When the accumulation of snow is greater than the amount lost to melting or calving, the glacier advances. If accumulation is less, the glacier retreats – leaving behind land as raw as the beginning of time. 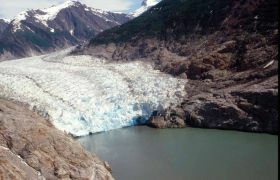 Most of the glaciers we will see stem from the massive Stikine Ice Field, sitting high in the Coast Mountains, east of Petersburg and Wrangell. Alaska is one of the few refuges left in North America for the brown (grizzly) bear. On Admiralty Island, it is calculated there is one brown bear for every square mile – almost as many bears as there are eagles. Some of the larger islands in Southeast Alaska have only brown bears – black bears and wolves having been relegated to the mainland by a peculiarity of glaciation. Every spring bears leave hibernation and feed on the new vegetation growing around waterways. By midsummer, when the salmon start to spawn up the many creeks, the bears congregate for the easy fishing and ripening berries. 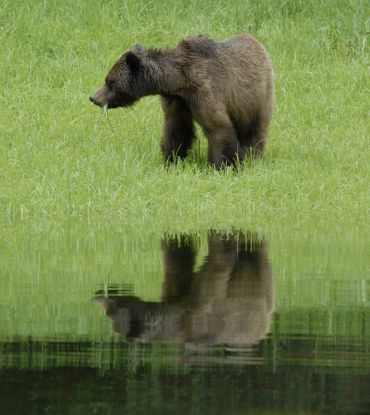 The US Forest Service has set up several bear observatories for research and viewing. 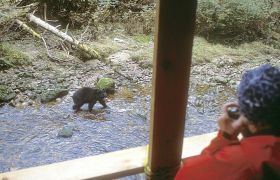 At Anan Creek, we can view both black and brown bears. 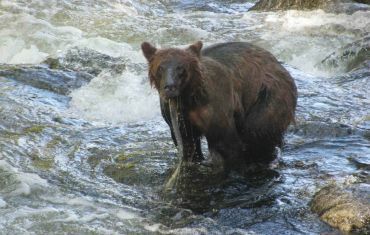 To see bears fishing for salmon in a rushing river is truly one of the classic Alaska sights. The salmon leap upstream against the current to meet their destiny. The bears stand deep in the water equally intent on theirs. Wild bears require our respect, as many have had little if any contact with humans. Care is required to be safe around all wild animals. In addition to the impact that trophy hunting has on these magnificent creatures, expanding human development magnifies this impact as their range continues to shrink. The question of whether humans and the magnificent brown bear can co-exist is still to be determined. 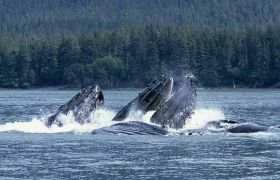 One of the principal focuses of this trip will be the observation of marine mammals, and specifically humpback whales. The humpbacks winter in the warm waters of Mexico and Hawaii, to mate and calve, feeding rarely. 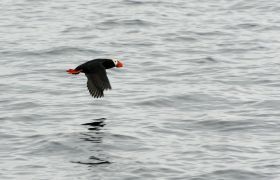 Every summer they migrate north to feed on herring and tiny krill, that blossom with the sunlight. Up to 100 humpback whales gather to feed in these rich northern waters. Once one of the most abundant whale species worldwide, humpback whale populations suffered tremendously under whaling and are now on the endangered list. The sight of 45 tons of whale launching itself right out of the water – a behaviour called breaching – is truly an amazing spectacle. The splash can be seen from miles away. 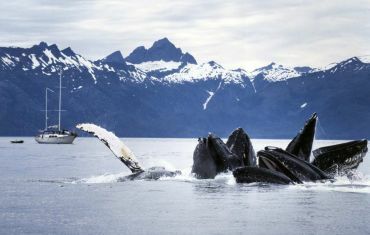 Scientists have learned that humpbacks use various coordinated feeding techniques. One such technique is commonly referred to as “bubble net feeding”. A whale circles under the water letting out a stream of rising bubbles. The bubbles act as a solid wall or net to concentrate krill or small fish in the centre. Then entire group of whales explodes up through the centre of the ‘net’ (and concentration of food) with their 13’ mouths open, and surface with a roar. We have observed groups of up to 12 animals bubble-net feeding together. The islands of Southeast Alaska are home to three linguistic groups of native people. The Tlingit are the largest group, historically inhabiting most of what is today the “pan-handle”. The Tshimshian lived along the rivers, such as the Skeena - the arteries of trade into the interior mountains. 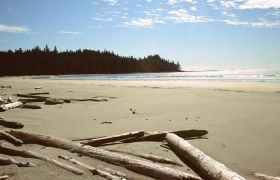 The Haida originated on Haida Gwaii (the Queen Charlotte Islands), but moved north to inhabit the southern “pan-handle” in recent times. 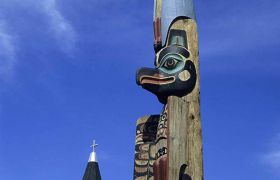 Each group holds in common similar traditions - the carving of totem poles, the great longhouses, and the potlatch ceremony. Some of the old villages are still inhabited. The Tlingit communities of Angoon and Kake, and the Haida village of Kasaan are often along our route. Other sites have been abandoned for the forest to reclaim. 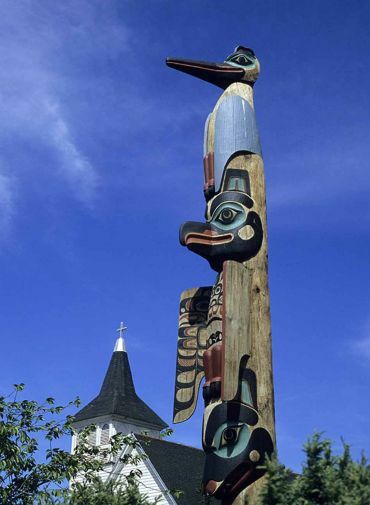 In the larger communities we can see some of the finest totem poles, moved from the old villages for safekeeping. As a magnificent art form, they still captivate the observer. There also are fascinating petroglyph (rock carving) and pictograph (rock painting) sites throughout the area. Our daily plans are flexible to accommodate the surprises that occur each trip, the requirements of tide and weather, and the interests of the group. With so many opportunities to see wildlife and scenery, it’s hard to predict what unique moment will be your favourite memory. 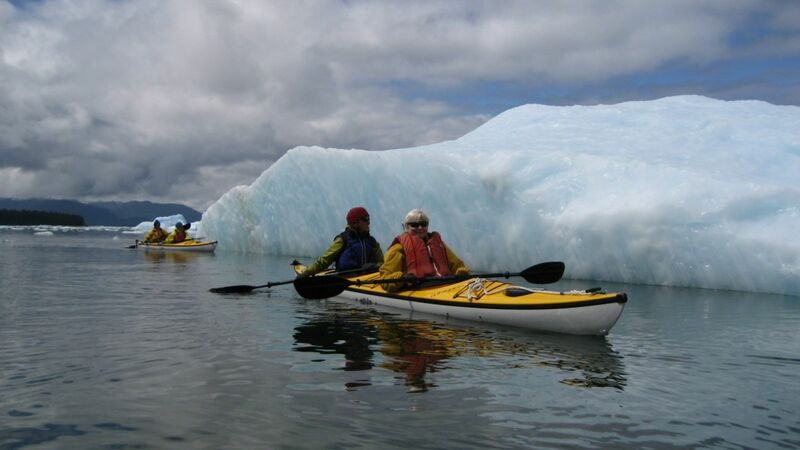 TRIP START: Day 1 Trips depart from Petersburg, Sitka, Wrangell, AK and Prince Rupert, BC – depending on the departure you have chosen. 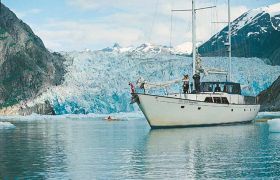 We meet late morning to board the yacht, where we will begin our adventure into wild Southeast Alaska. Days 2-8 - In Frederick Sound and Chatham Strait, we will see whales on a daily basis and expect to see some spectacular behavior. Admiralty Island National Monument has the highest concentration of brown bears and eagles in North America. 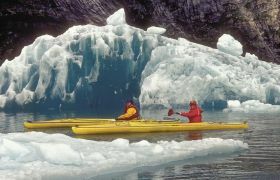 There are some beautiful evening anchorages – so keep an eye out for bears along the shore! 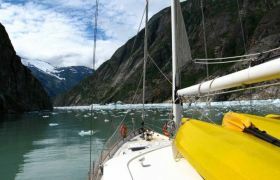 We will experience a spectacular tidewater glacier, icebergs and thousand foot waterfalls at either Tracy Arm / Endicott Arm or LeConte Bay. At Anan Creek we have the privilege to access the famous US Forest Service bear viewing stand and see bears fishing for salmon. For keen photographers there is a viewing blind right at water level. 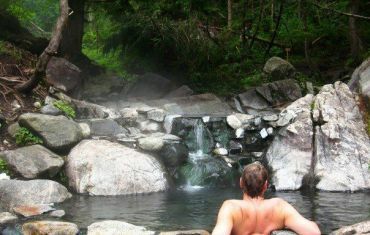 Each day there is time for kayaking or walks ashore, or perhaps a relaxing dip in a hotsprings. 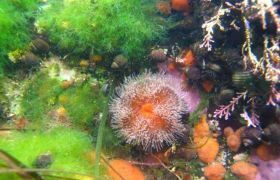 We will spot and identify fascinating wildlife, explore the shoreline for intertidal creatures, and keep a daily record of the various species of plants and animals we observe. Day 9 - Trip Finish: – On the last morning we arrive at our final destination in time to catch an afternoon flight south to Seattle or Vancouver. 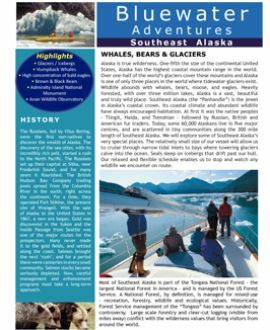 Download your 3-page Trip Itinerary on Southeast Alaska. Includes: daily activities, travel details, accommodations & contact details.